Bara Bhangal is among the most remote village in Himachal Pradesh. 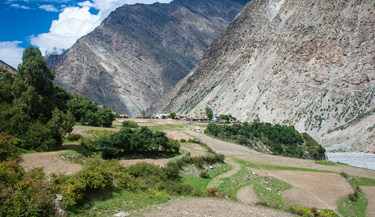 The habitants of this village have to walk over elevating mountain pass for the time of three or four days as there is no road route to the village. 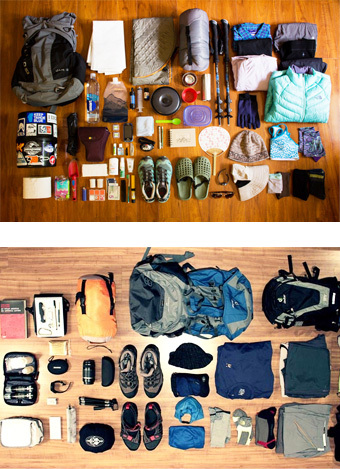 It takes three to four days of walking to reach the nearest road. The village is immaculate and remains cut off from outside world. The village remains accessible only when the Thamsar Pass opens from June to October. 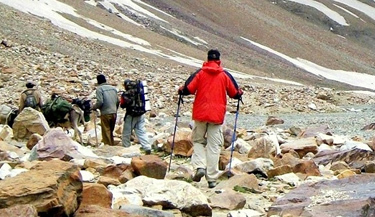 Bara Bhangal is a tough trek that is also known as Shepherd Trek. It is a challenging trek; however, the panorama en route makes it worth carrying. 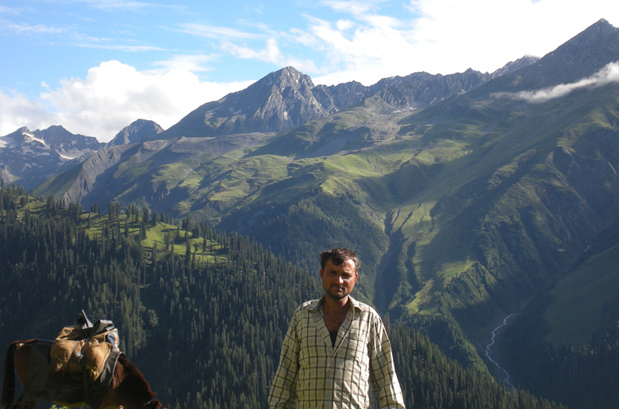 The trek takes a traveler to startling landscape of Bara Bhangal Range. 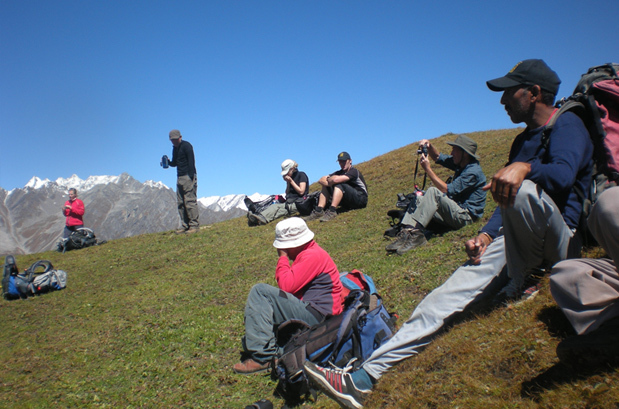 This 11 Nights and 12 Days itinerary to Bara Bhangal Trek is a perfect as a comprehensive and congenial trek. 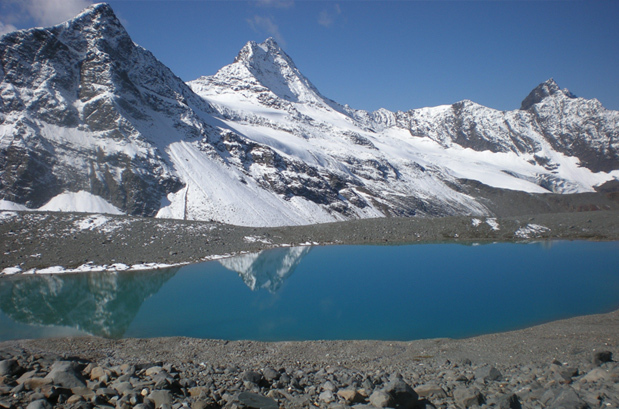 It is an idyllic tour for the adventure enthusiasts who are in quest of secluded and beautiful trekking trails. 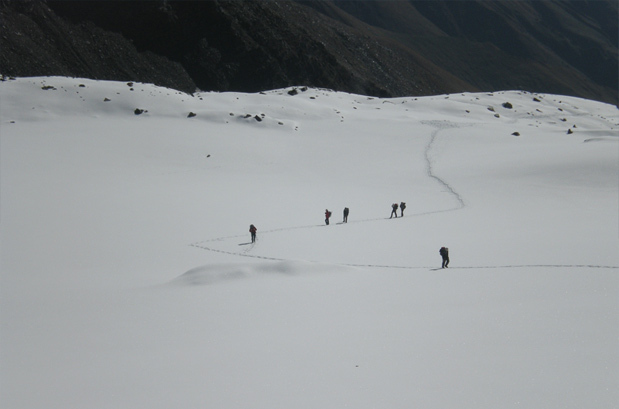 Traversing through Bara Shingri and Indrasan glacier renders one of its kind enthrallment to the tourists. The trip starts from Manali and the major tourist attractions coming en-route are Lama Dugh, Riyali Thach, Kalihani, Devi ki Marhi, Dal Marhi, Marhi, Plachak, Rajgundha and of course Bara Bhangal. It is a perfect tour to get drenched in nature's beauty in the midst of pleasant serenity and exquisiteness. Meet and greet people of Bara Bhangal village. The final destination of the trek, Bara Bhangal is a remote village, which is located 15 km from Thamsar Pass in Kangra district. One can't be approach the village during the winter season as the trail remains blocked due to snow. How to Reach Bara Bhangal Trek? Nearest Airport: Bhuntar Airport in Kullu is the nearest airport. Many airlines operate a flight from Delhi. The second nearest airport is Chandigarh International Airport. Nearest Railway Station: Nearest Railway Station: Jogindar Nagar Railway Station, 166 km from Manali, is the nearest railway station. By Road: Manali is well connected by road with all the neighboring towns like Ambala (338 km), Chandigarh (310 km), Dehradun (468 km), Haridwar (495 km), Shimla (249 km), Dharamsala (234 km) and Chamba (360 km). In the evening catch AC Volvo bus from Delhi to Manali. Overnight journey. On arrival at Manali Volvo stand meet our guide and transfer to hotel and check in. the day is for relax, later in the afternoon take a short walk to Hadimba Devi Temple, Old Manali Manu Rishi temple and then back to hotel. By evening one can roam on the Mall Road. Overnight stay at hotel. In the morning after breakfast, we will leave for Lama Dugh, which is about 4 hour journey. On the way, we will be climbing through thick forests. As we gain height in the steep climb, we can witness the distinct views of different faces of Indrasan, Deo Tibba and peaks of Bara Shingri glacier open up. In the last lag, the path turns to the right and one traverses the ridge horizontally and enters the campsite on an alpine plateau studded with thick growth of alpine flowers. Enjoy an overnight stay in the camp. After breakfast in the morning, we will leave from Lama Dugh to visit Riyali Thach, which is about 3 hour journey. 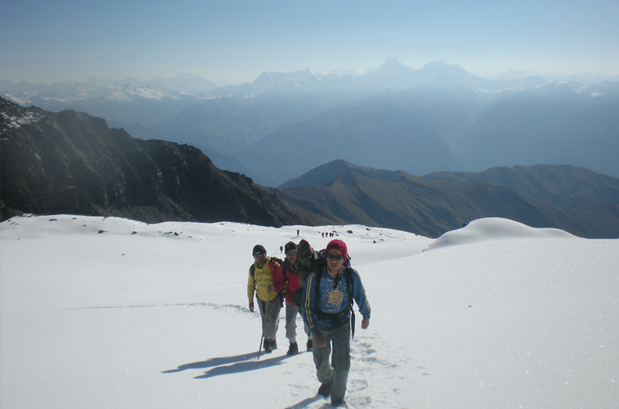 The trek is through steep a ridge below Khand Pari Tibba (4000m). From this point, one can witness a magnificent view of Manali, located on the left bank of River Beas and the whole upper Kullu valley that appears swathed in the varied colors of the season. An overnight camp stay in Riyali Thach. Today, we will proceed for Base of Kalihani Pass, which is located at a height of 4010m. The trail will proceeds over open meadows initially followed by a steep descent to a stream. After crossing it, the path continues in a steep climb for about three hours till you arrive at the camp at the base of the Kalihani Pass. 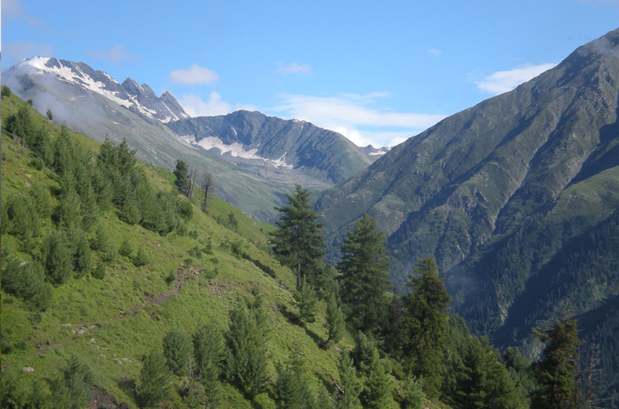 You can catch the beautiful views of Deo Tibba and Indrasan peaks from the campsite. Take pleasure of an overnight stay in the camp. After breakfast in the morning, we will proceed for trekking Devi ki Marhi via Kalihani Pass. It will about 8 hour long journey. While following this trek, we will have a steep climb to the pass crossing a stretch of scree, a moraine and the Kalihani glacier. 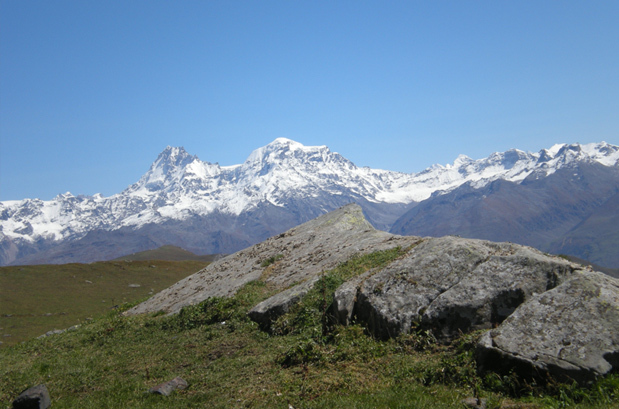 Take time off at the pass to get a splendid 360 degree view of hanging glaciers, the Pir Panjal and Dhauladhar ranges. A steep descent across another glacier and four beautiful glacial lakes will take you to the camp at the Gaddi campsite of Devi ki Marhi. Enjoy an overnight stay at the camp in Devi ki Marhi. Today after breakfast in the morning, we will move from Devi ki Marhi to Dal Marh, which is about 6 hours long journey. The trail first crosses over the Kalihani Nullah and descends into the oak and birch forests. Thereafter, most of the path is flat with few ups and downs. Just before the end of day through a steep climb before you will arrive at the Dal Marhi campsite and have an exclusive overnight camp stay. In the morning after breakfast, we will proceed to visit Bara Bhangal, which is again 6 hours journey. The trail now continues down the Ravi river into the deodar forest, to the only large village in the valley, Bara Bhangal. Enjoy an overnight in tents/camp in Bara Bhangal. Today, we will start climbing towards the next big pass, Thamsar. The trail will take about 5 hours to reach the destination and winds up through pine, deodar and birch forests with mountain streams to break the monotony. 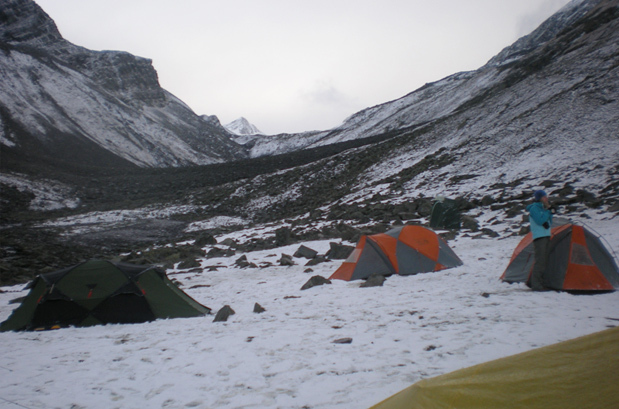 Our campsite is located at Marhi which is near the base of the Thamsar glacier. An overnight stay in camp at Marhi. In the morning after breakfast, we will set for another day of steep ascent over moraine, scree and glacier. The climb is broken by a small lake just below the pass. From on top of Thamsar, we will get the first glimpse of the Kangra valley. On the other side of the pass, it is a steep, long descent till we reach the campsite at Plachak. Enjoy an overnight camp stay. After breakfast in the morning, we will proceed to Rajgundha and then to Billing. It is one of the easy treks so far. The path is flat passing through pine forests with many mountain streams. The valley widens and you get great views of the open Kangra valley. A vehicle will pick you up at Billing and drop you to Dharamshala and from here catch AC Volvo coach for Delhi at 16:30 hrs. Overnight journey. When to book Bara Bhangal Trek? You should book Bara Bhangal trek two months in advance so that you get ample amount of time to prepare well for the trek. Our pick up and drop point for Bara Bhangal trek is Delhi (Janpath/RK Ashram Metro Station/Majnu Ka Tila). You can board Bus from these bus stops to Manali. 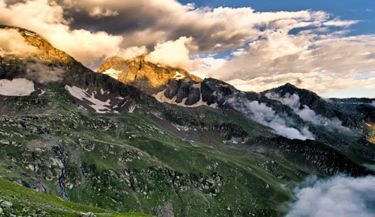 At Manali our guide will pick you from train station and then from there your tour will start. What is minimum age required for Bara Bhangal Trek? 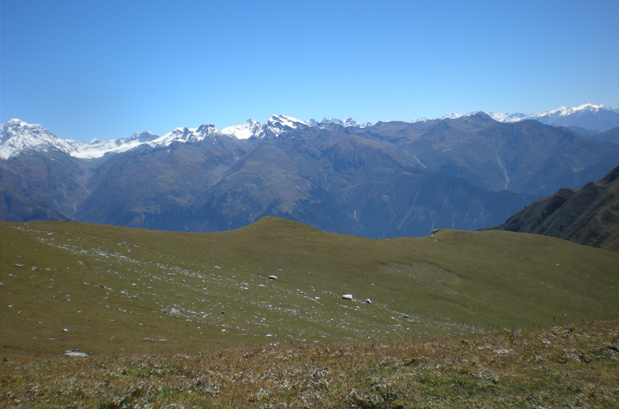 Bara Bhangal Trek is a tough trek with a maximum altitude of 16000ft (4878m) minimum age required is 15 years. What will be the minimum temperature during Bara Bhangal Trek? 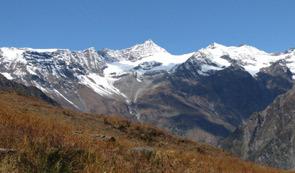 In the month of Mid June – September the temperature during the trek can go as low as 8 Degree Celsius. How long we trek during Bara Bhangal Trek? 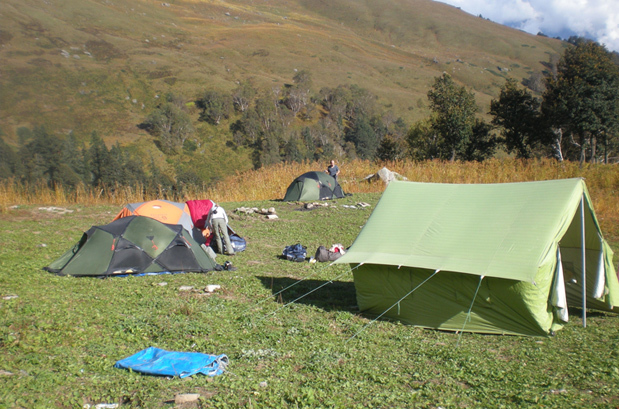 We plan our treks in such a way that after 5-6 hours of trekking we reach next camp around lunch time and normally trek a distance of 8 to 14 Kms.